Opinions are like behinds, and everyone has one in football – be it at the top level or even at grassroots, and we all make judgements from our own perspectives, often with little insight into the inner workings of a particular team, and lacking context. The phrase I’ve heard most often this season has been, ‘I don’t understand what’s wrong’ – even by my own players baffled that such a positive, alternative football club playing so well could be subjected to such a string of bad results. They’re the last to deserve such outcomes given the effort put in by the majority of them, and the football they’ve played. Only once or twice have I seen opponents play purer football than we have, because we’re dedicated to playing soccer that reflects our ethos: fearless, pro-active and positive. We just enjoyed our third birthday. This is our third season in existence. In our first season we were promoted from Division 3 to Division 2, where we then more than held our own in our second season – stopping in their tracks teams that went on to dominate the division. It was then we decided that, as we improved at a faster pace than we’d initially imagined, we still wanted to give an option to players lacking game time or experience in competitive 11-a-side football – so we set up a second team, the AFC Unity Jets, an audacious decision largely met with more resentment and condescension than admiration or support from the footballing establishment. We went ahead anyway, to great enthusiasm from the players with a promise of more minutes in league matches than they’d anticipated. So, pre-season became more about which players were going to be in which team, rather than any focus on one squad itself being a cohesive unit. With weeks – even days – remaining until start of the season (which came sooner this time), we rushed to finalise two teams, which started with just over a dozen players each, and stretching the club’s resources to the limit, fueled by our passion for engagement and empowerment of female footballers; the AFC Unity Jets in fact actually began with a bigger roster than the first team at the beginning (and look like ending with one too; we have to understand that expectations, pressure, and commitment are different than in the first team). We were blessed to have Emily Salvin step in as Head Coach of the AFC Unity Jets when lesser coaches would have spelled disaster for team spirit right from the start. And then the first team was struck with the now-infamous “injury curse” perhaps related to having a squad spread thin and subjected to greater wear-and-tear. Having arguably the best goalkeeper in the league injured early on was also a massive blow to a first team destined to face constant pressure given our attacking style reflecting our unique football philosophy. By this time I was reluctant to make call-ups from the AFC Unity Jets, since we’d already made several – good ones, too, albeit meaning these absolute stars (good players as well as good people) took time to mesh with the existing players, by which time injured players began returning. Simone Fenton-Jarvis made the great point the other day that, ‘We’ve almost had three different first teams throughout the course of this entire season,’ and that’s true! Having said that, in a recent match against Rovers Foundation, I was astonished by the first-half performance of a team finally starting to look settled – it was only 1-2 at half-time, at which point I tried reverting to last season’s old formation, leaving us with just two forwards unable to apply their pressing style, and under bombardment; conceding six more goals in the 45 minutes that followed, an incredible example of football evolution meaning you can’t go back in time and unlearn something so much harder yet better: it’s hard, even wrong, for us to go back to old styles that don’t suit us anymore. Being defensive means being on the back-foot, and surrendering initiative, and that just doesn’t fit us, as evidenced by that 1-8 loss. You also have to have the “4 Keys to Winning” unlocked in every single one of your eleven players who are on the pitch at one time in order to succeed – if even one single player doesn’t believe in themselves, their teammates, the system or their coach, you can’t do well. While we’ve finally created a first team that reflects our positive ethos, packed with players capable of unlocking those four keys, there have been occasions where I’ve heard odd players not just lacking belief in themselves, but knocking their teammates, or questioning the system and their coach, and you can give them numerous chances but ultimately their fate is in their own hands. There are plenty of conventional clubs with vanilla formations out there, so I’ll never feel bad for eventually letting those players go, as they have plenty of other options. 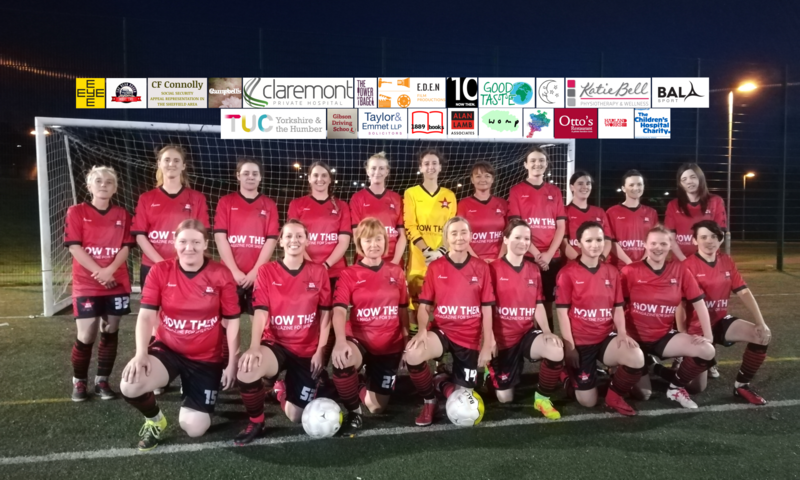 In fairness to some, when AFC Unity began as an independent women’s football club with next to no resources, I wasn’t as heavily involved with coaching and we hadn’t yet built our footballing identity – now we play with a sense of ourselves, and not all players caught up with that, aren’t willing to, and will be better suited to traditional football elsewhere. 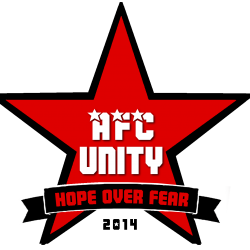 The team I’ve begun to build is one of – yes – unity, as well as camaraderie, warmth, positivity, passion, intelligence and belief in the AFC Unity project, and it’s made me so proud. I’m going to nurture that, and add more of the same to it – from the AFC Unity Jets, eventually, too, because they still have some fantastic players. Great players who want to be “Red Stars” and play for our badge can even be found in the Solidarity Soccer initiative. Some of the finest players we’ve got have been the ones to come up through our own system. So of course, there’s always context to results or poor form that people don’t at first realise; when you point it out to them, they exclaim, ‘Oh yeah!’ and don’t feel so bad about it. Understanding this context is why I’ve been able to not just remain positive, but become even more positive as the season goes on. If the vast majority of players are playing their hearts out now, what are they going to be like in the future? If we’re about more than just winning – the hundreds of kilograms of food we’ve raised for local food banks, for example – and feel good now, wait until we’re winning matches more often. And we will be, I can promise that. If promotions, multiple awards, and doing good for the community seems impressive in just three years, wait until you see what we have in store just around the corner.